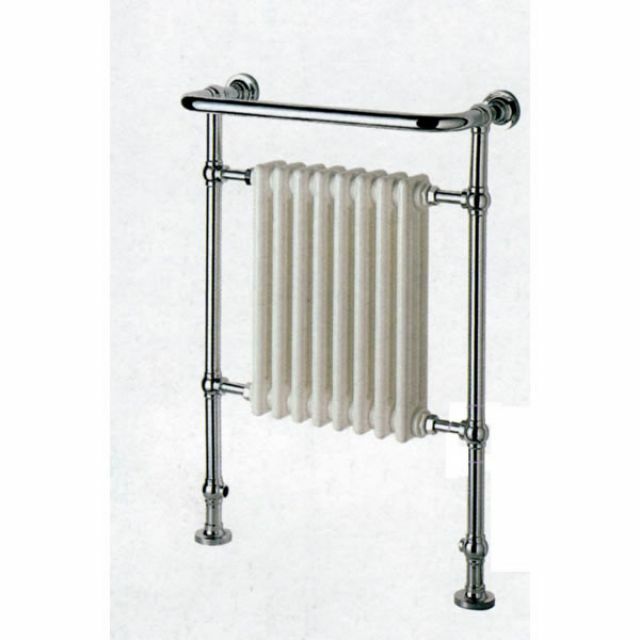 The Flanders range from Mere is an elegant and timeless piece, with a petite frame that lends itself well to inclusion in almost any space. 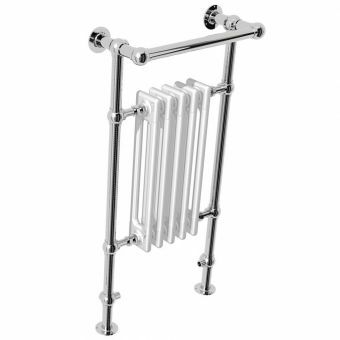 For the traditionally themed interior that required a heating element or towel drying area, this provides an attractive option. 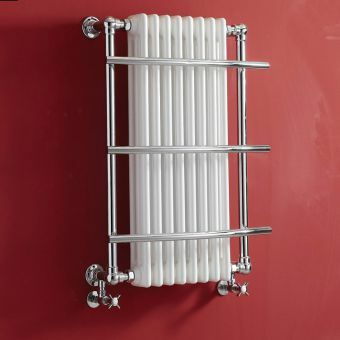 Each unit is finished by hand, and given a fine white coat that complements the chrome piping perfectly. 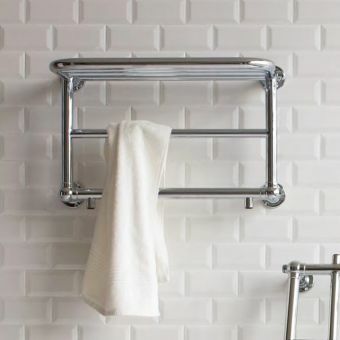 Ball joints add a distinctive design element, taking its cues from the classic period of interior design of the early twentieth century. 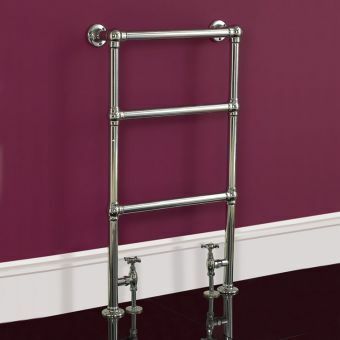 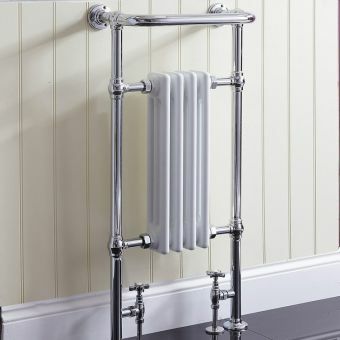 With a rating of 3599 BTU, this little radiator is capable of quickly warming the interior and drying any towels hung on the towel rail incorporated into its frame. 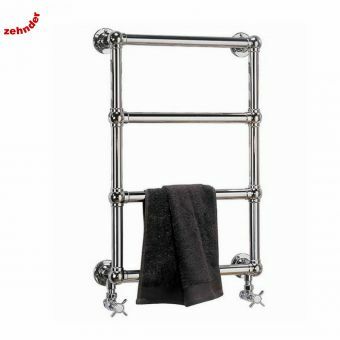 For systems that require a dual fuel option, this can be ordered separately. 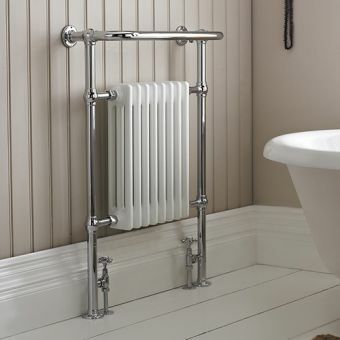 Each radiator is provided with a ten year manufacturer guarantee, a sound testament to its build quality and reliability. 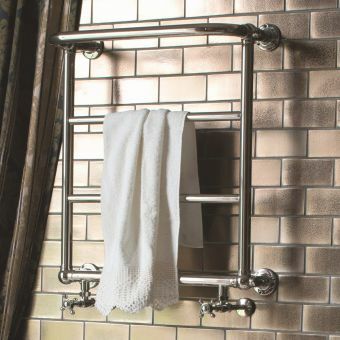 UK Bathrooms responded promptly to my email queries and provided excellent advise over the telephone, removing some of the doubts often associated with online purchasing. They provide quality products at competitive prices, and I will not hesitate to recommend them to others.